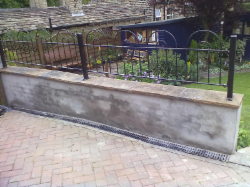 A.S.M Plastering are professional Plasterers offering Plastering, Rendering & Screeding services in Huddersfield. A.S.M Plastering are fully qualified professional Plasterers offering Plastering, Rendering & Screeding services in Huddersfield and surrounding areas. Recently, we had our room plastered by Mr. Martin. We are very pleased with his work, and feel he did a professional job. We would recommend him to anyone who requires quality plastering work done at a competitive price. MR AND MRS LEVENE, DALTON, HUDDERSFIELD.